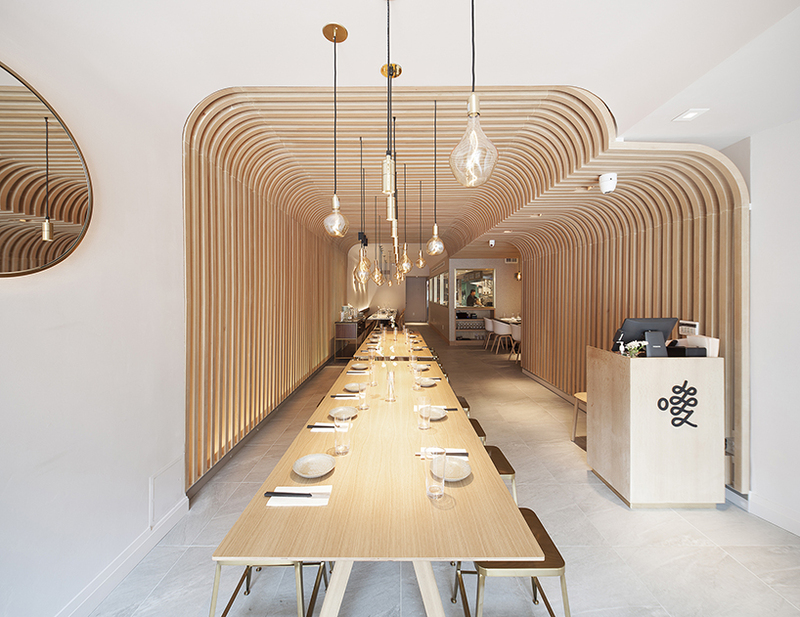 Slurp, an authentic street rice noodle restaurant from Chinese province Hunan opens its doors in the East Village, NYC offering an engaging and intricate wooden design complete with modern lighting and contemporary furnishings. 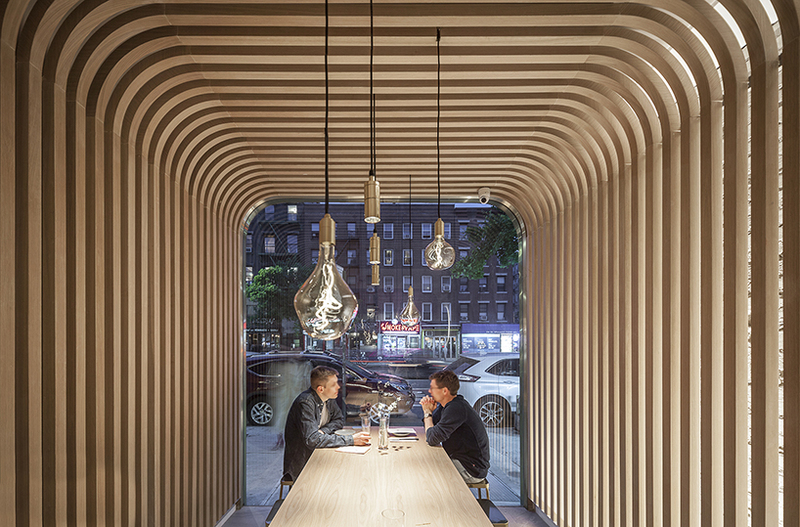 Designed by New Practice, a new york- and shanghai-based studio, they sought to accentuate the small space by creating a curved, wooden and paneled archway with fillet corners seemingly carved from the white walls surrounding it. “The space is conceived as a place to look through, a continuous volume is carved out from the storefront into the interior so that a direct dialogue is established between the street and the restaurant,” explains the New Practice designers. 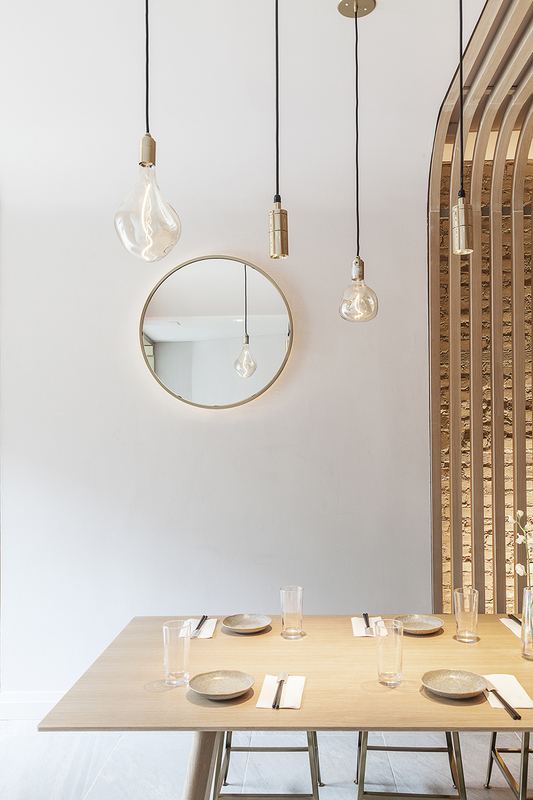 A group of long dining tables in a scandinavian-inspired, minimalist style are placed in the center of the restaurant adding continuity to the space. The contrast between the white walls and the wood is complementary while also defining. The two together create a warm and inviting atmosphere for guests. The shade-less bulbs hanging from above offer exceptional lighting and create an even more modern look bordering on industrial style. 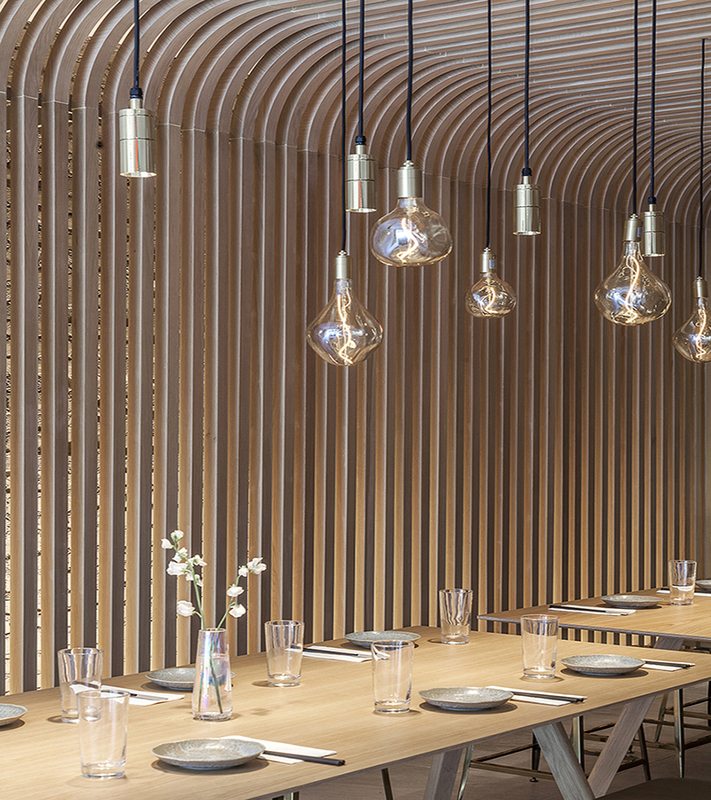 The rhythmic wood sequence reinforces the geometry of the space while resembling the rice noodle served in the restaurant.